Aw, I find it sweet that Mr. Waters is being earnest. 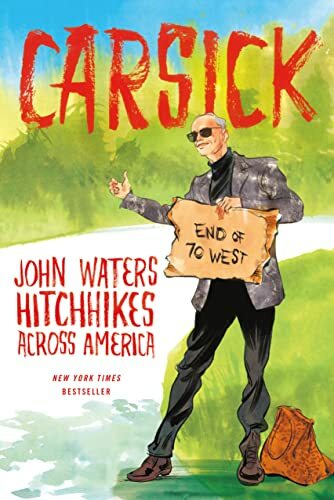 I think that regardless of who you are, it takes courage to hitchhike your way across the country. Actually, I think that like any true eccentric, Mr. Waters is earnest whatever he is doing. I know he does an annual Christmas show in my area (DC) for no more “ironic” reason than (I believe) he really likes Christmas. I have an uncomfortable feeling that the Misters Twain and Waters would have disliked each other intensely, can’t quite put my finger on it, just a sense of two strong personalities and points of view that wouldn’t be able to share the limelight. I think each would be more content with his own “Boswell,” someone willing to sit back and let them shine. ** “Innocents Abroad” actually inspired something I’m working on about a group of Post-Recession, shipwrecked Americans that somehow end up doing admin work at a truly horrible “Americans Abroad” program foisted upon Cambridge one summer by a very influential Anglophile from public television. “Inevitable as Death, they would come. Great screaming Anglophiles, ubiquitous and matronly, clutching at their ever-present plastic tote bags. Armies of them in comfortable pants (elastic waist band, of course),Ked sneakers and belly packs. They would engage with noisy gusto in punting, patrolling the gardens, and study sessions. How tiring their inquiries. How vigorous their rubbing of the gravestones for paper trophies! Inevitably, a brood of them would overturn on The Cam and have to be fished out of the water by the local constabulary and several passing students. Just as inevitably, one of the overturned would begin giggling uncontrollably, her plump and slippery body an open invitation to sciatica and disc problems long after she had flown west to her native climes.